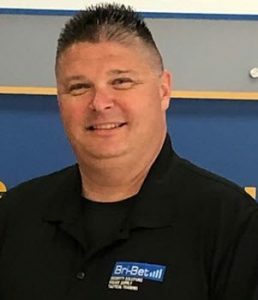 Mr. Kunkel brings over 30 years of Law Enforcement, Investigative and Security training, knowledge and experience to Bri-Bet. He has worked with various local, state and federal agencies including the Federal Bureau of Investigations (FBI), the Department of Defense (DOD), the Maryland Commission on Human Relations (MCHR), and the Weston, West Virginia Police Department. 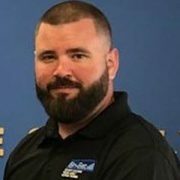 Mr. Kunkel possesses experience in a variety of security industries including Entertainment, Retail and Commercial, and Government and Private Security. 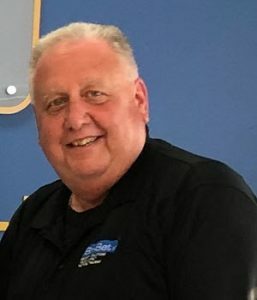 While employed in the Law Enforcement field, Mr. Kunkel has served as a Senior Administrator, Training Instructor, Field Training Officer, Media Relations Officer, K-9 Team’s Administrator and K-9 Handler. 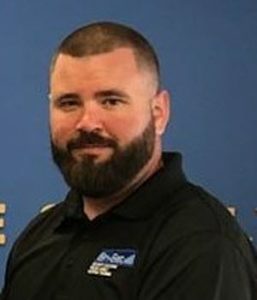 He is a graduate of the Federal Law Enforcement Training Center (FLETC), the West Virginia State Police Academy and the Department of Defense Police Academy and currently serves as a Police Captain with a federal law enforcement agency in Maryland. Mr. Kunkel is a member of many groups and organizations including: Federal Officers Coalition (FOC), Fraternal Order of Police (FOP), Emerald Police Society, Industrial Security Awareness Council of Central Maryland (ISAC-MD), Investigative and Security Professionals for Legal Action (ISPLA), Maryland Investigators and Security Association (MISA), Society of Industrial Security Professionals (NCMS), Maryland Law Enforcement Officer’s Association (MLEO), and the Society of Industrial Security Professionals (NISP). 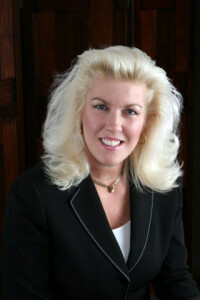 Ms. Kunkel is the majority owner of Bri-Bet and serves as its Executive Vice President. Ms. Kunkel’s duties with Bri-Bet have been extensive. In the early formative years, Ms. Kunkel served as the Vice President of Operations and the Chief Financial Officer. As the Chief Financial Officer, Ms. Kunkel initiated the financial structure and workings of Bri-Bet including invoicing, accounts payable, accounts receivable, payroll and banking. Since 2011, Ms. Kunkel has applied her experience and expertise as Executive Vice President overseeing all administrative and operational affairs. Ms. Kunkel has been active in formulating and implementing the strategic plan and is centrally involved in all critical operations at Bri-Bet. 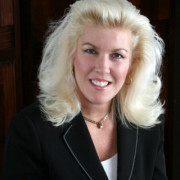 Ms. Kunkel has over 20 years’ experience working in the finance industry. 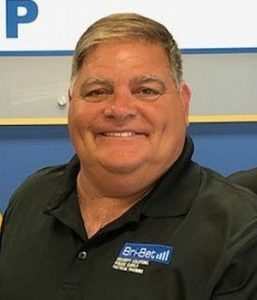 Mr. Purdie brings to Bri-Bet over 30 years of Law Enforcement and Security experience. Mr. Purdie is a retired Baltimore County Police Officer. 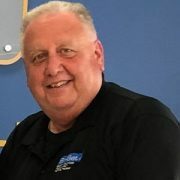 During his time with the Baltimore County Police Department, Mr. Purdie was assigned to many positions within the department including: Patrol Officer, Field Training Officer, Administration, Selective Enforcement, Marine Patrol Officer and Helicopter Observer. Mr. Purdie continues his Law Enforcement activities as a Reserve Officer for the Maryland Natural Resources Police. Mr. Legeer’s areas of expertise include public and media relations. He holds a B.S. in Corporate Communications from the University of Baltimore and is a Project Management Professional certified through the Project Management Institute and University of North Florida. Prior to arriving at Bri-Bet, Mr. Legeer had a 25-year career with Lockheed Martin and SAIC managing public outreach and acquisition/logistics contracts. He is a retired USAF Public Affairs Officer. During his military career, he received four PRSA Silver Anvils for government information programs, crisis management and journalism. 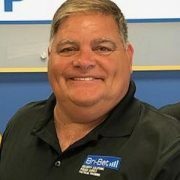 Mr. Campbell joined Bri-Bet in 2016 as a Sales Consultant for the E-commerce Division. With 15 years’ experience in sales and customer service, he helped E-Commerce sales increase significantly in his first year. 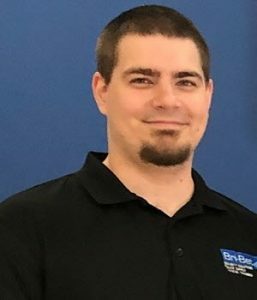 In 2018, Mr. Campbell moved to Bri-Bet’s Security Solution’s Division managing scheduling duties for all security accounts. His success led to his appointment as Director of Security Solutions. Since that time, Mr. Campbell has developed an efficient scheduling program, enabling Security Solutions to streamline employee work hours and reduce employee overtime. Mr. Campbell graduated from Towson University in 2007 with a B.S. in Electronic Media and Film. In his spare time, Mr. Campbell is an avid hunter and fisherman. He is also a member of the Old Post Rifle and Pistol team and excels in many different shooting sports. 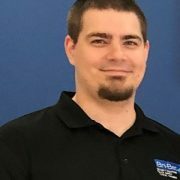 Mr. Tasker manages e-commerce for Bri-Bet. 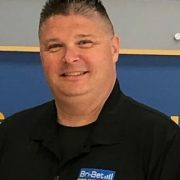 He is responsible for establishing strategic partnerships with hundreds of equipment and clothing suppliers to bring the finest products to first responders. In addition, Mr. Tasker develops point-of-sale targeted advertising through the Bri-Bet website. Skilled in graphic design, he is the company “go to” for marketing displays, exhibits, print advertisements and company products including a quarterly newsletter.